Permanent Pothole Repair Kit in a Bag. 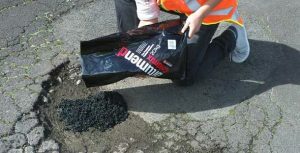 Bitumend Coldmix is a cold asphalt product ideal for fixing potholes or making asphalt repairs in your driveway or car park. 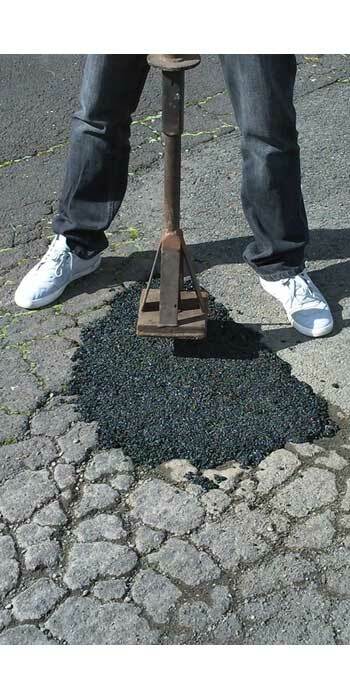 It is made with special polymers so that it remains strong and flexible yet easy enough to use – excellent qualities for making long term repairs to potholes. Testimonials of people who use and love our Coldmix. "We are very excited with the results. Provides a permanent repair even when applied in the rain"
"The Coldmix is fantastic. So easy to use"
"I want to express how pleased I am with Coldmix. 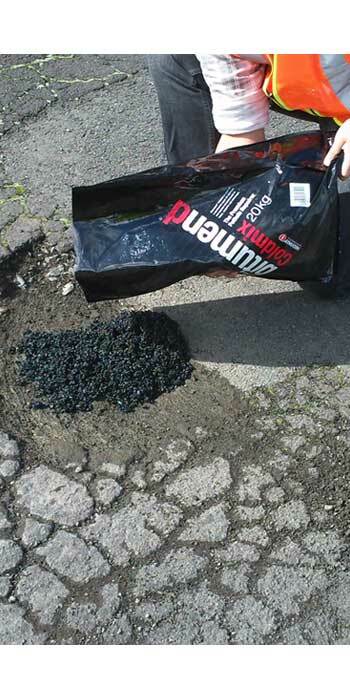 We mainly use it for potholes however we have had good results with larger repairs"